We have seen several new editions of the Air Jordan 9 Retro this year with the latest being the “Motorboat Jones” edition. But before the year comes to an end, one famous colorway of this retro kick will hit the market again. 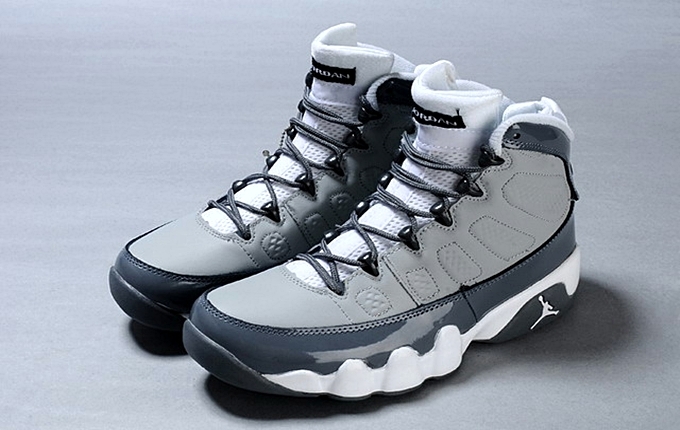 The Air Jordan 9 Retro will be released in “Cool Grey” edition or the Medium Grey/Cool Grey-White colorway of the shoe on December 15, Saturday. This non-OG colorway of the silhouette first came out in the market ten years ago and like how it was accepted before, expect this shoe to turn heads this 2012 Holiday Season. Watch out for this kick and don’t dare miss it!